The extraordinary size and strength of the UC Davis applicant pool means that many qualified candidates are denied admission. Get answers to some of our most commonly asked questions. I met the UC admission requirements, but I wasn't admitted. Why is that? 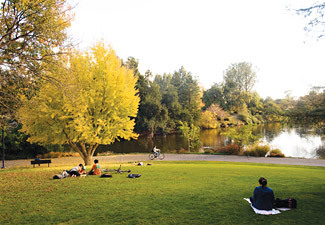 Meeting the minimum UC transfer admission requirements does not guarantee admission to UC Davis. Transfer applicants who were admitted had to meet UC Davis academic selection criteria, which exceed minimum UC admission requirements. Foremost among the criteria was academic performance and preparation, followed by the applicant's personal characteristics and experiences. Additionally, admission was dependent upon the applicant's selected college and major. Can I re-apply for winter or spring quarter admission? UC Davis only accepts applications for fall quarter admission. If you are considering applying again for a future fall term, feel free to contact us to discuss your options. May I appeal my denial of admission? Appeals are rarely granted. Consideration of appeals is based on new and compelling information, extenuating circumstances and your overall academic record. As part of your appeal, you must include a statement describing your special circumstances, as well as any additional documents such as unofficial academic records and letters of recommendation. All appeals and supplemental documentation must be submitted online—interviews are not granted and appeals received through any other channel will not be considered.